When I was young, I had a lot of dolls, I had designed cloths and decorated house for them until I finished middle school. Now my daughter likes dolls too, my favorite thing to do with her is play dolls, most of time it’s to enjoy myself. As far as I watched TV “Tiger mother Cat Dad”, and saw the little girl who was speaking in a coaxing voice and waving a magic wand to issue order, I finally found those are mistakes. I have introspection myself, also thinking that what will inflect to children from those cartoon, stories, and as mother, what we should teach to them? I will talk to my daughter about this story on her age that gradually understand and curious to this world, this is what I am really want to tell her. First, there is not a peaceful fairy tale, there is not magic stick and crystal shoes, and this is the world that you should face to. Mom understand well why you like princess, like the crown and magic stick, because of mom love all things too. But these are not the real life it is, there is not fairy tale in the world. 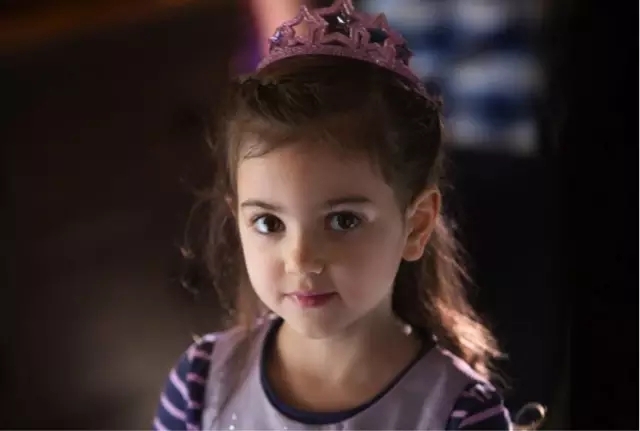 You may not be a little beautiful pure princess, and may not meet with your handsome prince and have a happiness life since then. You are the princess, but just the princess to father and mother. I like the story Zoopia, and I am happy you like it too, like Judy. This is a world that very close to adults, and a real life story. This is the reason that Mom like it and gratified you like it too. Bunny Judy was born in bunny burrow on suburb of Zoopia, and she is the same like you that have a dream when she is young. For this purpose she trys all her best and finally the dream comes true, but the species of rabbit is a really week in animals, she has been crowd out with bulky fellow colleagues. She lives in a rent house, eats with the microwave carrots, working in marginal job, is it too miserable? But this is the true life. In this world, there is prejudice, exclude, intrigues, and personal interests, and the same, there is strive, dream, assistance and kind-hearted. Mom can’t impartially estimate the world, because the world it is. She is the first in Police Officer’s School, but still unvalued and do the least important job. 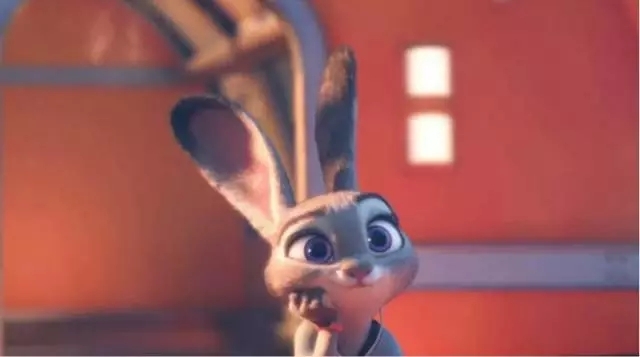 No matter how Judy been treasured by mother and father, she has to face the world by herself. But, that is not the ending of this story. Even if the world is not good enough, even if she is weak, but she still persist and persist in happiness. Mom would prefer you like Judy than princess, with strong and happy heart to face the imperfect world. Second, everybody has the right to choose their life style. Baby, to have a dream is good. A dream that too far to reach is not bad, if you like to life without pressure, that is also nice. Everybody has the right to choose their life, you should face with these choices sooner or later. You can copy your parents life, it is save and insurance. Or you could choose from your heart, trying all things outside of the world. You can leave mom and dad, choose your ideal life, we will concern you, but not try to stop you. Whatever a routine life, or travel in distant parts, all you have done to approach your favorite life, just keep going with your curious and desire. Somebody said, the result to have baby is looking her shadow moving far and far from your side, mom will feel said, but we could understand, because I am mother, so as your grandmother, and you will be mother someday too. Third, kind-hearted people is more easily to be gentle treatment by others. Don’t throw away your kindness in anytime. You could fight with some bad things, but that doesn’t mean you can discard your kindness. And kindness doesn’t mean you will been cheated easily, stupid and kindness are different two things. A kind-hearted girl will been treated good by others. Don’t attack others because that will reduce hurt. Mom hope you warm like a bunny, but not a hedgehog to bristle thorns, nobody will close to you. You should know the hedgehog bristle its thorns maybe is because of afraid, and in this way, nobody will knows its warm heart. Mom do not hope you been cheated, and not advocating cheating. 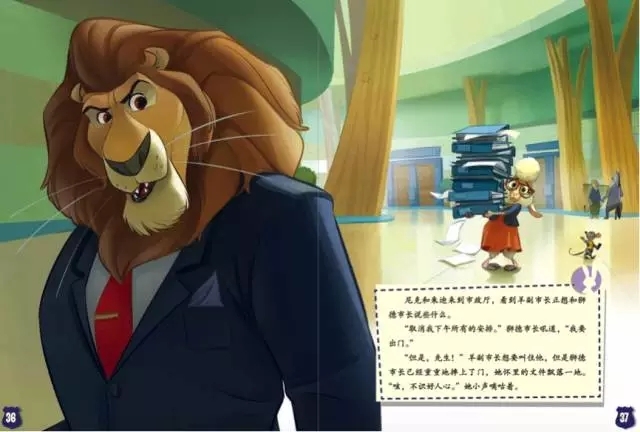 The leopard reception officer in police office, leopard should be a fast and fierce animal, but in this story, she is a sweet tooth, warm hearted and frank fatty. Cattle director general with a straight face, he do not acknowledge Judy and marginalize her. But we could see his bark was more than his bite, from the meeting, he congratulate to elephant officer happy birthday, sometimes play jokes seriously, like to play childish mobile game, etc. The best of this story is to teach child don’t judge people with their appearance, and mom thought, these are all kind people who is not judge people with their appearance. Fourth, don’t be afraid of tumble, get up just like when you were young. You learn from stumble, it’s same that people become strong from those stumble. Don’t be afraid of tumble, get up just like when you were young. Mom had told you, life never runs smooth. 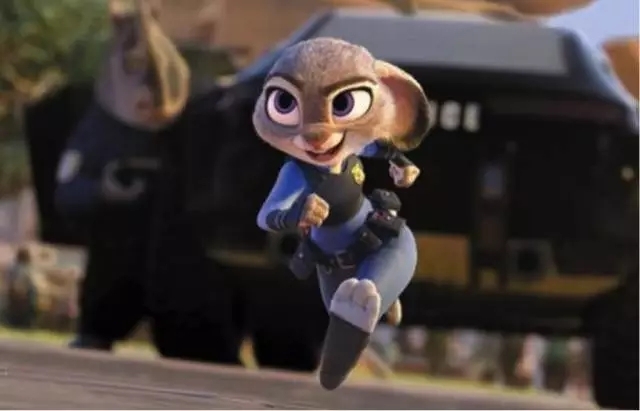 Judy comes to big city from a small town, she is the very first “little fellow cop” throughout history. It’s a sharp contrast between the weakest bunny and big fellow cop. Judy has been depressed and thought herself as a loser, but next day, she still work with full energe. When she begins this job, she has been marginality, been ignored, lived in a humble rent house, the bad neighborhood, and her job does not been understood, everything made her very upset. This experience should be very familiar to young people. Ten years ago, mom graduated from school and came to Beijing to find a ideal job in magazines, but I had been denied, because of asking the chief editor to evaluate my draft, and he threw the draft on my face, mom was sad and cried on the road. I lived along in a humble house outside north 5th circle, where was a small house rebuild by farmer, mom was the only girl living there, and I had to try my best to grab the bathroom among boys. That was nothing to compare with other drifters in Beijing, and all had past, mom feels good now, I have a happy job and you, and I can live with mother and father everyday. Those is something that you will face too. Adverse situation is not terrible, you shouldn’t do like bunny, report to mom and dad only the good news but not the bad. Fifth, discover your genius, don’t blandly envy others, see more of your advantages. Everybody has infinite possibilities, this is the subject of this story. There is a very interesting scene in this movie, but you may not understand at the time. Nike brought Judy to the place where he was last time saw Mr. Beaver—Mysterious spring oasis. The receiving is Sharp Yak, who do not like bath. Brother Sharp said he can not remember any clues, and he took them to meet elephant Nancy, he thought Nancy had a good memory. But Nancy utterly ignorant to Judy’s questions, and brother Sharp Yak was unexpected remember every details. Yak is kind of a good memory animal, but he don’t know at all. So as peoples. We usually do not see our advantages, and adore to others even they do not have this advantages at all, but this adore will cover up your talent. Judy is a puny herbivore, she is good at jumping, acute hearing, and she found her advantages as a child, so she understands that her dream isn’t just a dream. Everybody has infinite possibilities, this possibility needs to discover by yourself. Sixth, to be the best of yourself. Judy want to be a police officer because she wants to make the world becoming better through her effort. She try again and again, and finally found the world was not perfect at all. If the world will been perfect by somebody’s effort, then the story will not be interesting anymore. What means better? Judy is seeking the answer. During searching and mistakes, the answer becoming clear and clear. Judy hopes the world gets better, and she found that actually everyone was trying to make the world better through changing themselves. Essentially, this is a courage story to tell us to do our best, and that is the positive energy of this story. We can not change the world by one person, but it’s easier to change ourselves, and sometimes this is exactly the most difficult thing. Adults always stubbornly insist on something wrong, and thinks themselves can not change, but actually it’s easier to change. The very small change, it’s hard to do. Mom hope you can be the best of yourself, don’t mean we hope you successful, as a normal person could be also your best life. Seventh, to find someone you love and spend the rest of your life with him. Nike looks bad, he might trick you, but always help and protect you. When Judy was denounced he was stand out and speck for her, and he was staying with Judy and doing something she admissive. He likes to scare her, holding the rabbit pen high that Judy can not reach, to ask sloth to check license plate number, he knows Judy was worry and deliberately interrupt sloth to tease her. And he knows well about Judy. 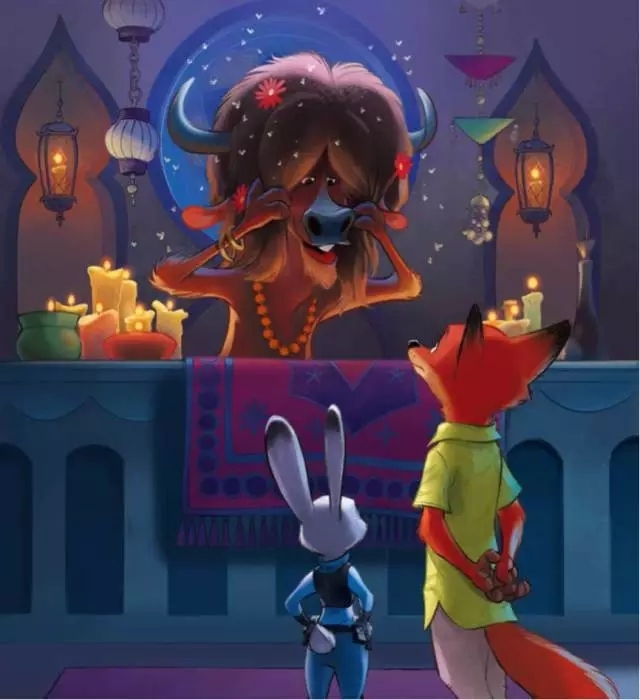 He knows Judy’s dream and knows most of her past when he first time met her. 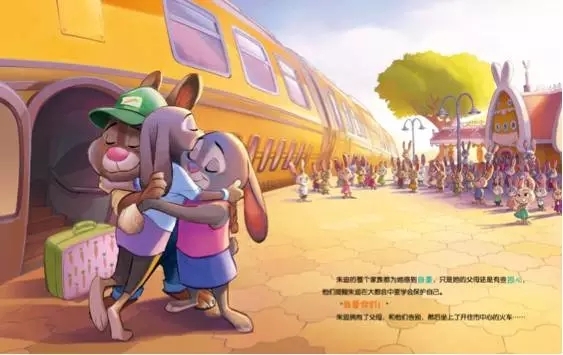 He looks bad but the heart is pure and warm, he is spoil Judy, stays with her and all out for her dream, soft-hearted when saw her cry, shares his mind with her. He is the prince from fairy tale, but he is more attractive than prince. This is the love mom wish too. Love you and understand you, funny and warm. Mom will picky whether he is the same species of you, as long as he gives you the heart. Mom hope you can get this kind of love, pursue your like, nothing will lose. But, it doesn’t matter if you do not have it, you can marry someone like your father, then your love will like mom and dad. Although, he is lazy and boring, but he really loves mother, and he loves you too. When I closed the book, daughter had fall asleep. I wrote down this essay when she is eight, these are what I want to talk with her when I she born. You can be a stronger, or be a normal person. Anyway, you are always my favorite baby.